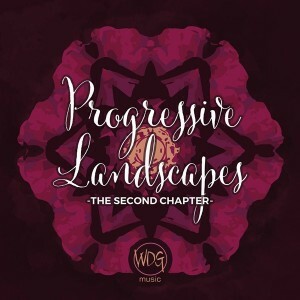 More than one year after the first chapter, WDG-Music proudly presents Progressive Landscapes 2, a fresh collection of progressive psytrance tunes compiled by label head Hirnlego. After a long period of work, connecting with his fellow crew mates and friends from other labels and collecting their finest tunes, he releases this musical promenade to you. Like the title suggests, this release is a colourful voyage through the exegesis of progressive psytrance. One half of the track selection is more light and joyous, the other half consists of deeper and darker strains, but all feature that distinct groovy sound that makes quality progressive what it is today. Mastered by Robert Hundt/Radioactive.Cake at Anti-Logic (Berlin) with artwork by Die Jungs (Oldenburg). MP3 Download | FLAC Download | WAV Download · Download count: 16,555. Nice Blend of Prog Dark Prog, Prog and Progressive Psytrance. My Favorite is track 3. You don’t get a lot of that sound here! Loving this. Mars and Woompa are especially great. Love it when psytrance gets a funky edge.